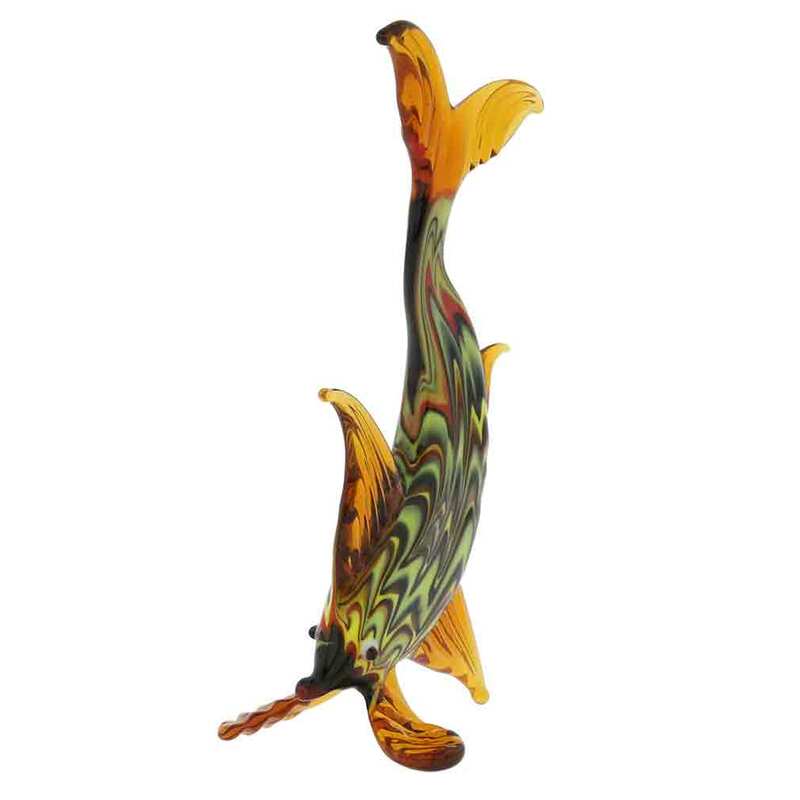 This beautiful hand-blown Murano glass fish standing tall on its honey-colored fins features swirls of vibrant colors arranged in festooned patterns flowing through its body. 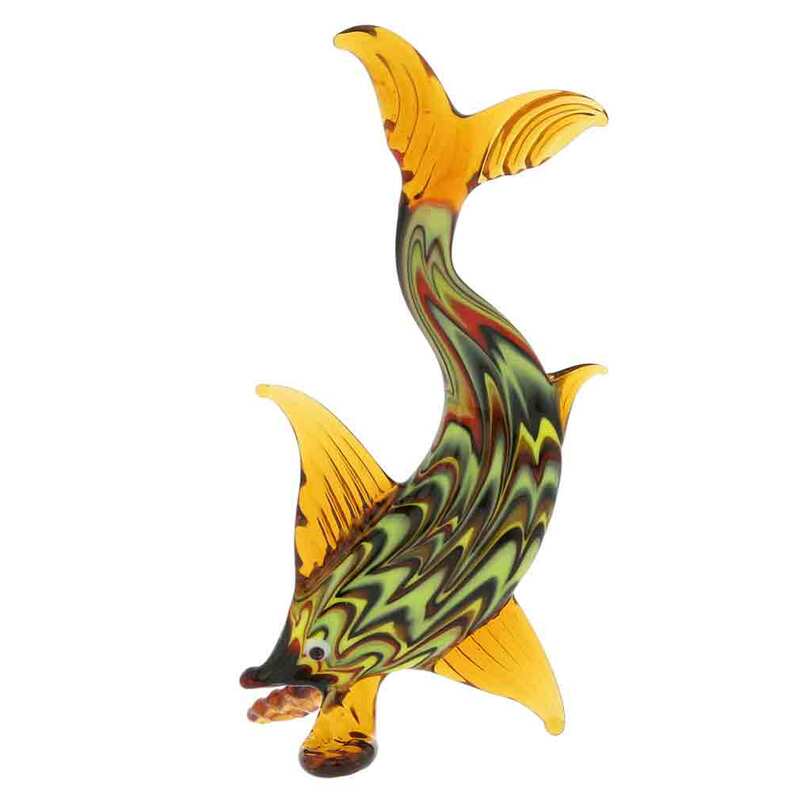 With its graceful design and cascade of contrasting colors, this figurine showcases the unique blend of technical mastery and artistic style that made Murano glassmakers world-famous. 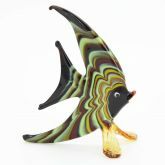 This beautiful glass fish will fit well into any interior design and will bring an unmistakable Venetian touch to your home or office. 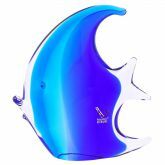 The elongated fish measures 4 3/4 inches in height and 2 inches in width. 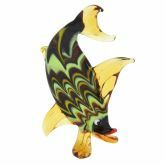 Elongated fish in festooned pattern is a part of Festooned Thread Figurines Collection. 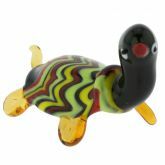 The beautiful garland-like decoration was adopted in Murano at the end of the 17th century, though it was used on glass as far back as the 2nd millennium AC. 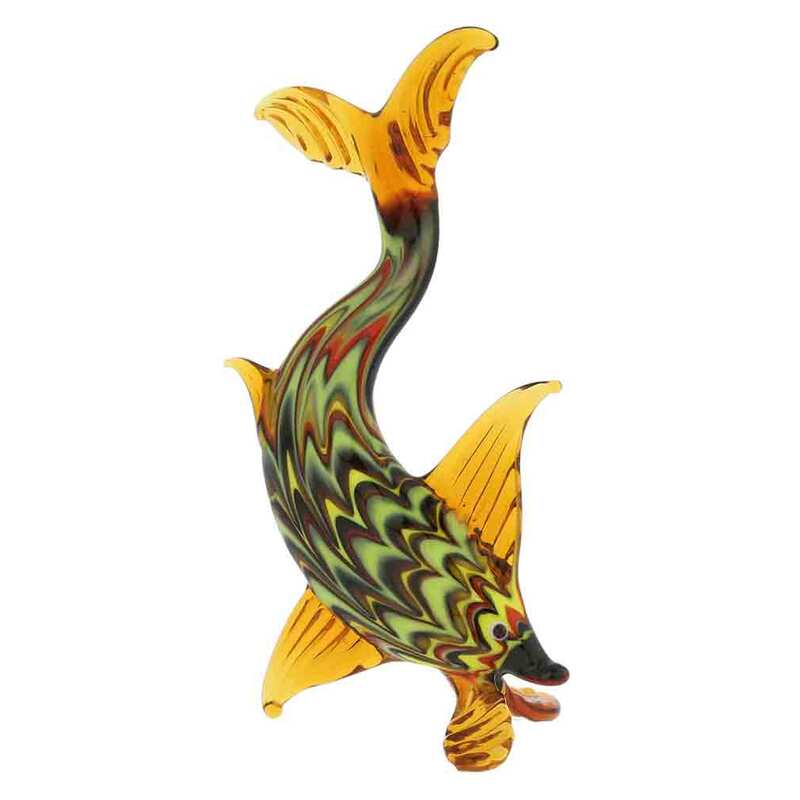 To produce the festooned motif Murano glassmakers employ a complicated technique called 'fenicio' (Phoenician), in which the glassworker wraps the incandescent glass threads with a thin pontil, or "speo", and then while the object is still hot, he combs the threads with a hooked tool, called a "maneretta". 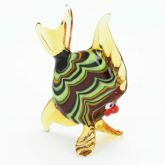 The result is a remarkable pattern that is classic, eye-catching and inimitable.